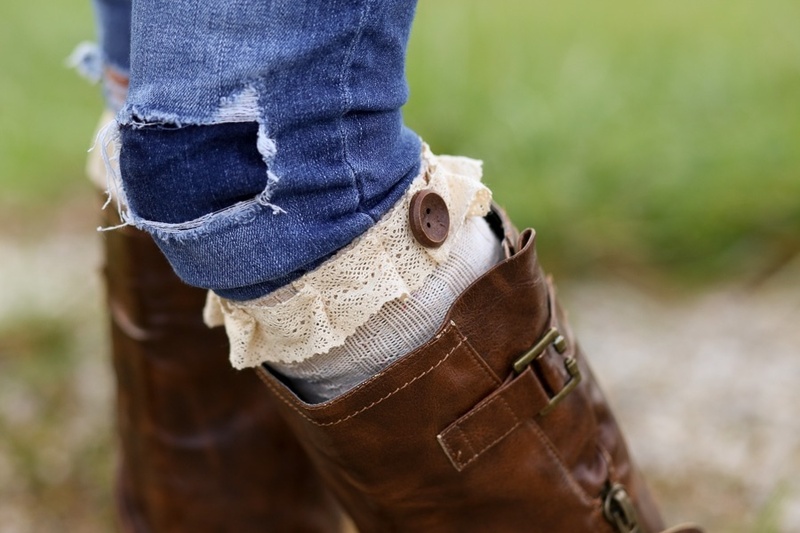 Slip a mason jar inside the sock to keep it stretched while attaching the ribbon. Cut Ribbon twice the circumference of the top of the sock. 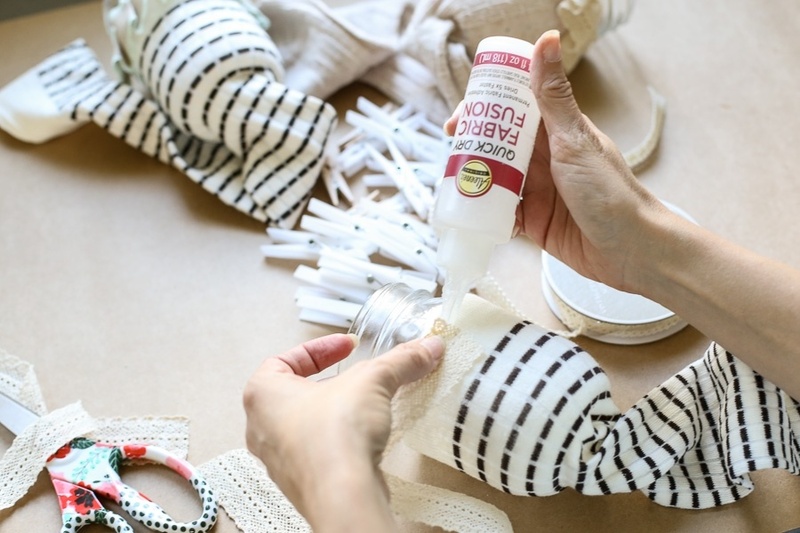 Attach the start of the ribbon using Fabric Fusion and hold in place with clothespin. 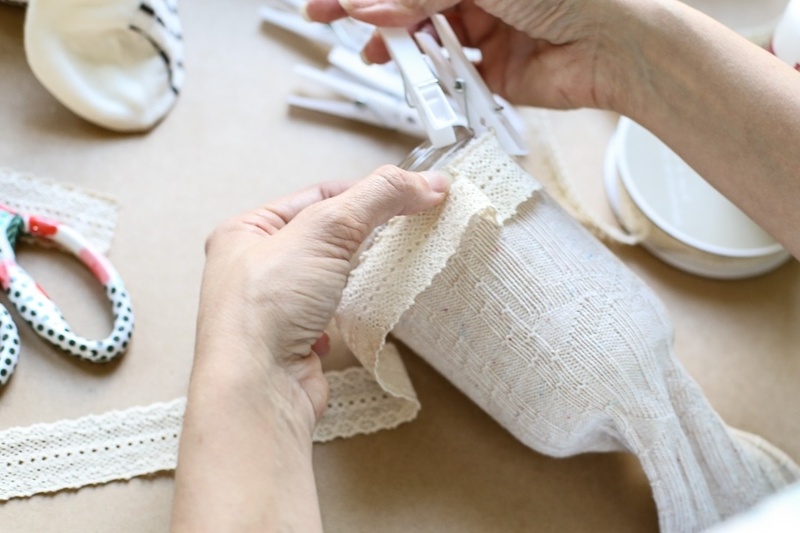 Fold small portion of ribbon over to create pleat. 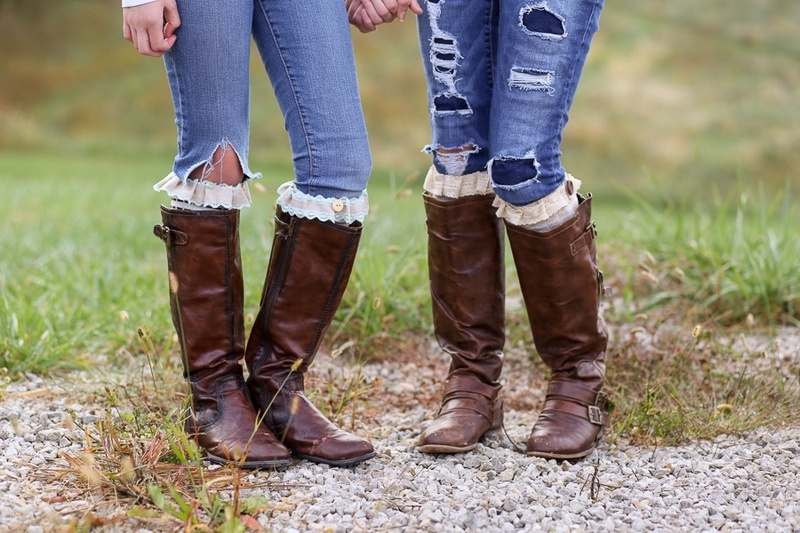 Attach with fabric fusion in the pleat in addition to attaching the ribbon to the back of the sock. Hold in place with clothespin. 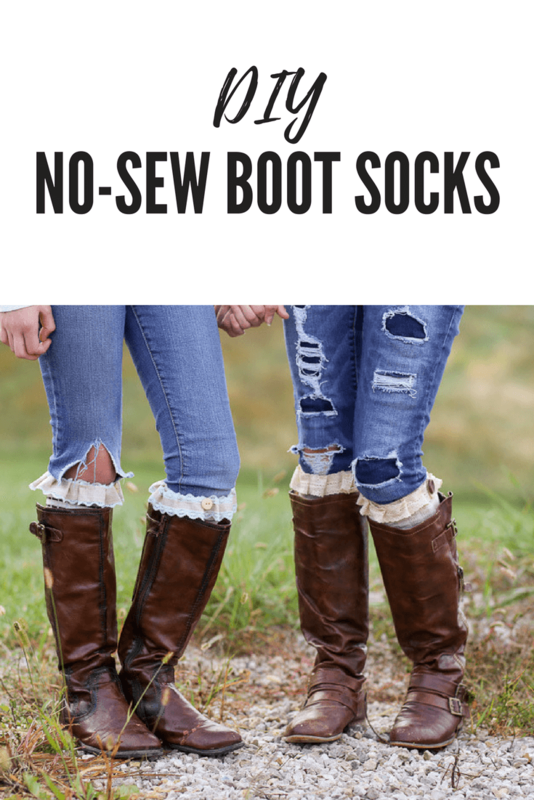 Continue to work around the top edge of the sock. 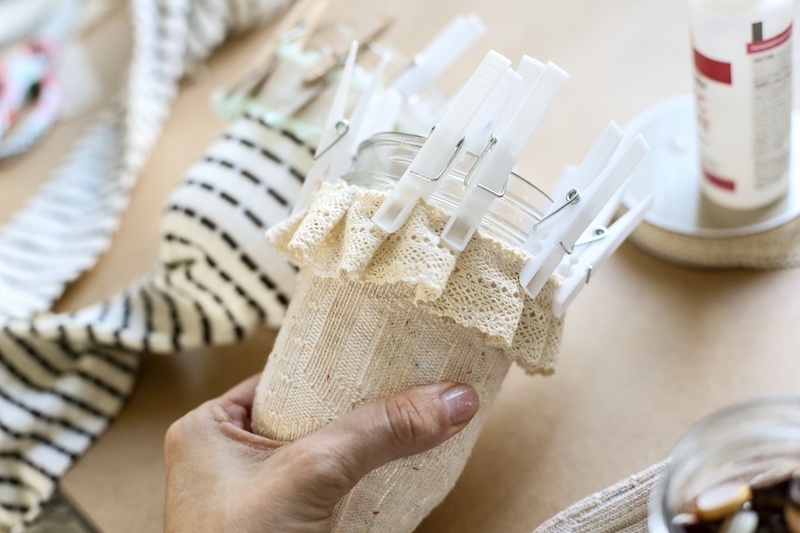 When dry, remove clothespins and pull out jar. Attach buttons with Fabric Fusion if desired.